Enjoy a cup of tea or read a book from the comfort of your chair or bed. 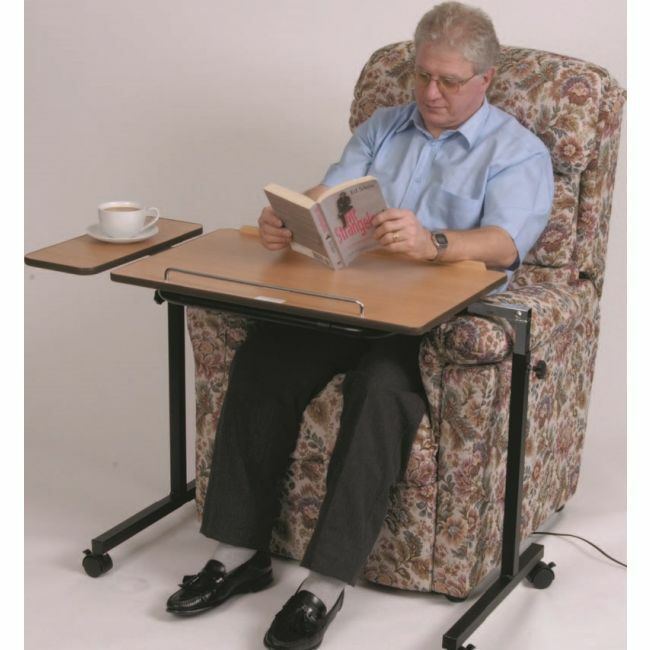 The Daleside table for chairs and beds is width and height adjustable enabling it to be used over both armchairs and beds. The large, angle adjustable table is easy to operate using the metal handle at the top. The table features a lip to retain books and magazines when the table top is tilted. The smaller separate table remains level at all times and is ideal for food and drink. The frame is mounted on castors making it easy to move around. Self assembly is required.